November 21, 2012 - Michael Brandon Smith, 35, formerly of O’Fallon, Missouri, pled guilty to pointing a laser at Metro St. Louis Air Support Police helicopter on May 18, 2012. According to court documents, on May 18, 2012, a St. Louis Metro Air Support Police helicopter was engaged in a routine police patrol. At approximately 10:00 p.m., the helicopter was dispatched to a call of a possible burglary in progress at a school located near 200 Meriwether in St. Charles County. As the helicopter began a search of the Meriwether property, the pilot and observer noted that the helicopter was struck several times by a green laser beam. When the beam struck the glass of the helicopter, it impacted the vision of the pilot and observer. As a result, the helicopter had to pull away from the search of the Meriwether property. The helicopter then proceeded toward the direction of the laser beam and was struck again by the beam. The pilot and observer were asked to locate the source of the green laser beam and determined that it came from a residence in the 2700 block of Red Cedar Parc Drive South, in O’Fallon. The pilot and observer saw Smith standing in his driveway with the laser. O’Fallon police responded to that location and observed the Smith with a laser pointer in his hand. He was arrested, and the laser was seized. 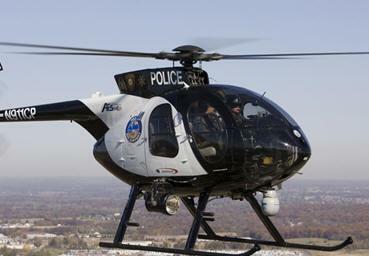 He told O’Fallon police that he had been drinking and playing around with the laser and pointed it at the helicopter. The police observer in the helicopter reported that he had some short-term visual problems as a result of the laser strike. Smith pled guilty to one felony count of aiming the beam of a laser pointer at an aircraft before United States District Judge Jean C. Hamilton. Sentencing has been set for February 15, 2013. This charge carries a maximum penalty of five years in prison and/or fines up to $250,000. In determining the actual sentences, a judge is required to consider the U.S. Sentencing Guidelines, which provide recommended sentencing ranges.